Heard Live! Trumpeter Mark Inouye | Brad's All Vinyl Finds! 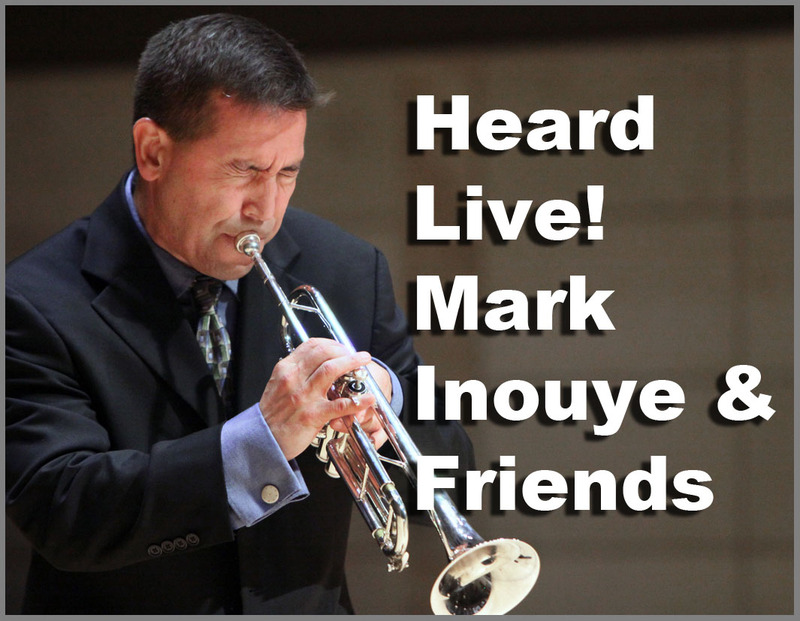 Mark Inouye is the best kept secret in jazz in the San Francisco Bay Area. Heck, maybe the world. “I only play jazz once a year, and tonight is it!” he said to me. “Tonight” was a concert to raise funds for the Topaz Museum in Delta, Utah. Topaz is the site where Inouye’s father, Takara, was incarcerated during World War II. 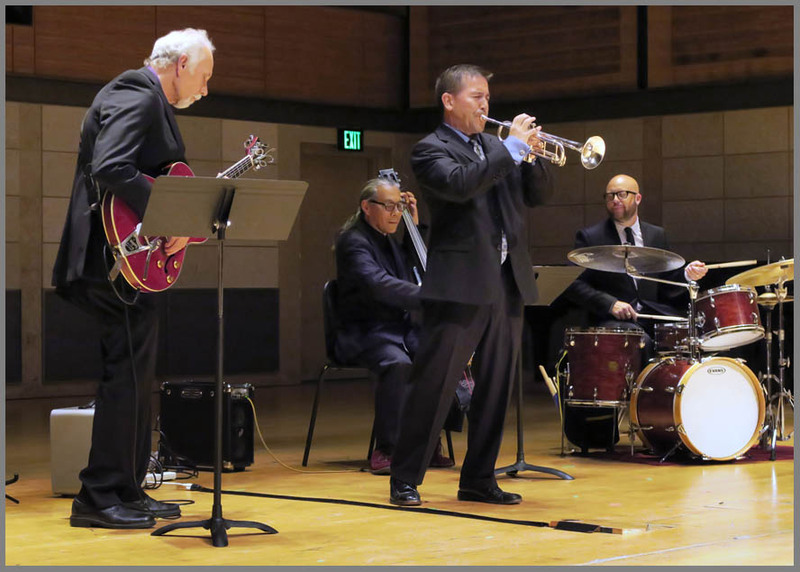 Long story short is that his efforts to learn more about his father’s journey led him to play before a packed house at the Conservatory of Music in San Francisco on July 10. The Conservatory of Music…hmm. Doesn’t sound like a jazz club, and that’s because it’s not. It’s where you would hear symphonic music. “Classical music” you might say. But not jazz. Inouye is one of the few musicians who can do both, and both are spectacular. 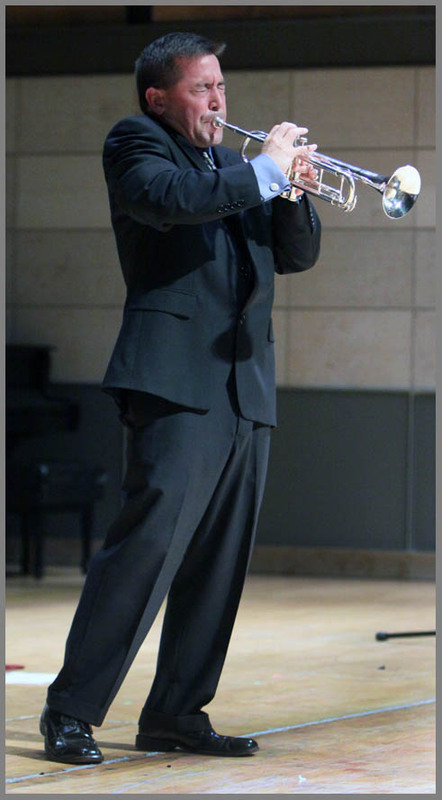 He occupies the first trumpet chair for the San Francisco Symphony and he has been cited as among the world’s best at his craft. By the way, he blows a damned hot jazz trumpet, too. But you wouldn’t know it by his schedule, which is packed with symphonic performances, leaving little time for us jazzers to enjoy. The show was a mix of both worlds. He opened with violinist In Sun Jang, pianist Keisuke (Kay-skayh) Nakagoshi and trombonist Jeff Budin. I know nothing about symphonic music, so I can’t explain much about his performance, other than to this untrained ear, it was awesome. After an intermission, he returned with guitarist Brad Beuthe, bassist Mark Izu and drummer Jeff Marrs. That band blew me away. Beuthe’s guitar tone was dark and rich, very reminiscent of Jim Hall, who Beuthe said he idolized. Beautifully connected choral solos, with a warmth that I haven’t heard much in jazz guitar live. But not so dark that the notes were smeared together. I could listen to this guy play for a long time. While Beuthe had a small amp, as did bassist Izu, the band was not mic’d for the audience. From my position at the front of the stage (I was the event photographer), the acoustics were quite balanced, and I assume that it was pretty good for the audience, too. One of the benefits of no mics was that Inouye could move around anywhere he wanted. I noted that when he pointed the bell of his trumpet toward the floor, it reflected off and outward. When he raised it skyward, the sound seemed to expand. He could walk anywhere and get the sound he wanted. It was a phenomenon that I’ve never experienced before, and he used it to his advantage. Inouye is right there with the best jazz trumpeters to ever play the instrument, I believe. Extremely melodic and listenable, with spectacular technique that probably stems from his symphonic playing…but in no way does it keep him from playing freely. Only Wynton Marsalis comes to mind, with the ability to play either genre with extreme ability. Make no mistake, Inouye can swing. He may not play jazz often, but when he does, go! His site is here.